Say the word “braise” to most home cooks and you’ll likely get a blank stare. Leaving out crock-pots and pot-roasts, I think it’s safe to say that the braise is rarely used in the modern kitchen. Even if you love pot-roasts, you may not know what a braise is or what it does. 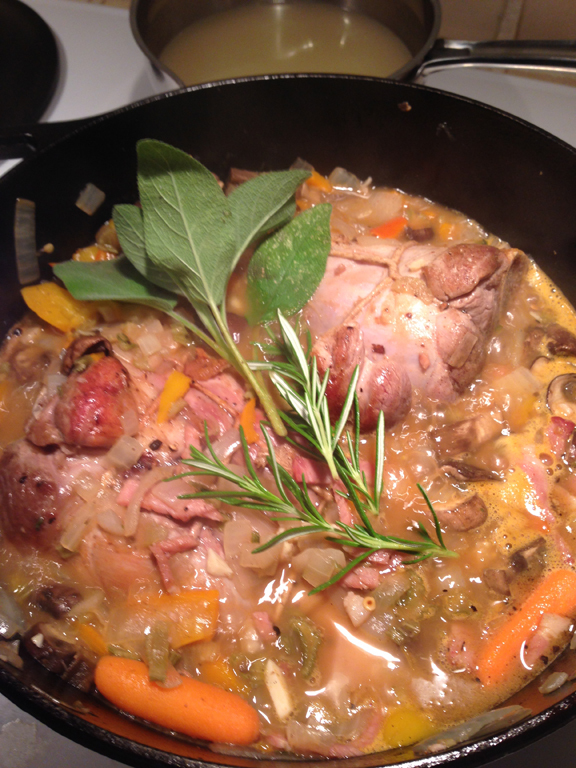 A braise is a long, slow cook in moist heat. It’s great for stews and pot roasts, as it transforms a cheap cut of meat into succulent, tender morsels of flavor. It breaks down those tough connective tissues–tendons, ligaments, cartilage–transferring them to the braising liquid, building that unctuous mouth-feel we love in sauces and gravies. Technically, my In-the-Oven Chicken Stock is a braise, cooked at low temps for a ridiculously long time, and the difference shows in the results. It has a complexity of flavor you just don’t get with other methods. This is a great way to take a cheap cut of meat and make a fantastic entrée. I gave it a bit of a Basque spin with the peppers, paprika, and herbs, but you can swap around all sorts of veg and spices to achieve a wide variety of savory dishes. What’s important here is the method: prep the meat, build the braise, and then let the low slow heat do all the work. Fresh pork shanks are unsmoked and uncured. Do not substitute smoked shanks or ham hocks. You can substitute fresh (uncured/unsmoked) hocks. Some shops use “shank” and “hock” interchangeably; this is incorrect. The hock is the ankle of the back leg while the shank is from the foreleg. Either way, what’s important is that they are fresh, not cured and/or smoked. 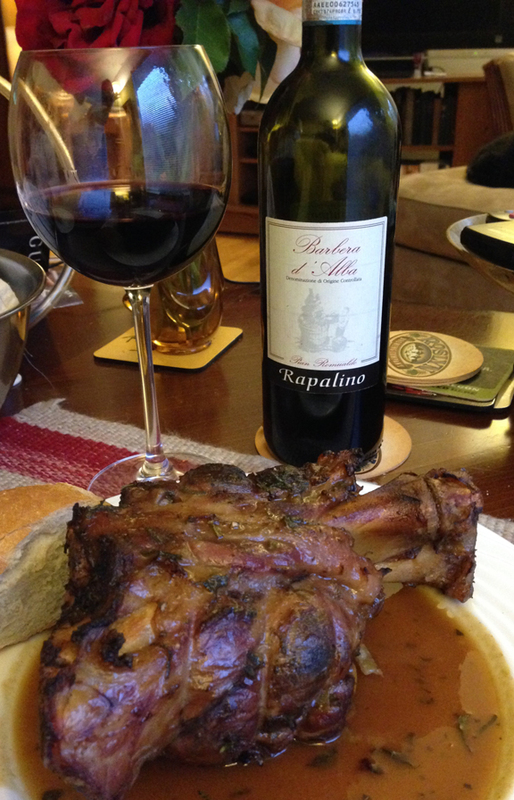 You can substitute veal shanks and lamb shanks. Just swap out some of the veg and spices to build the braise the different flavors of those meats. For a more rustic sauce (and less work), you can puree the veg in situ using a stick blender. Buzz it all up, right in the pot, and ladle away.